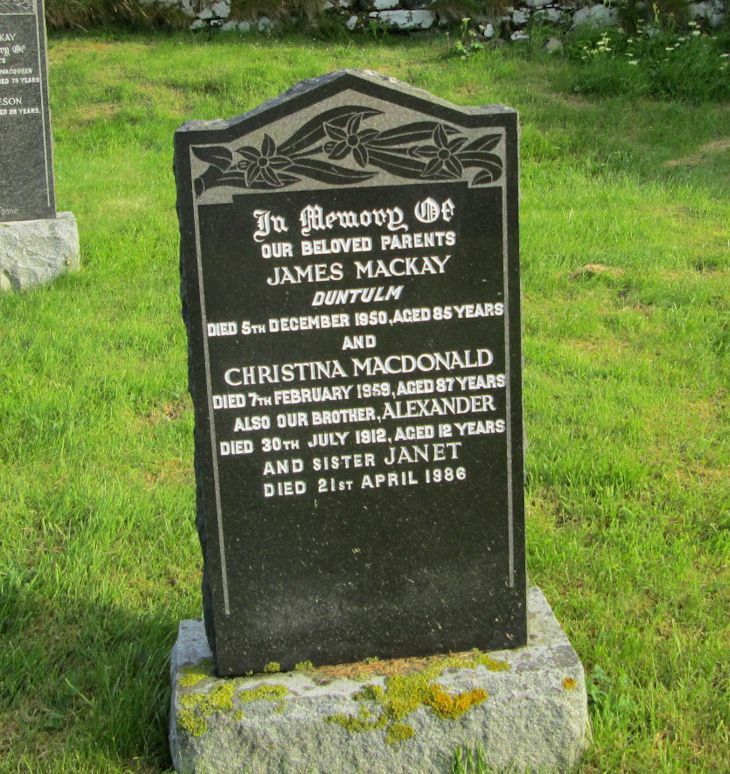 Skye Gravestones | James & Christina (Macdonald) Mackay, & family. James & Christina (Macdonald) Mackay, & family. In memory of/our beloved parents/JAMES MACKAY/Duntulm/died 5th December 1950, aged 85 years/and/CHRISTINA MACDONALD/died 7th February 1959, aged 87 years/and our brother, ALEXANDER/died 30th 1912, aged 12 years/and sister JANET/died 21st April 1986. Picture Added on 14 July 2014.